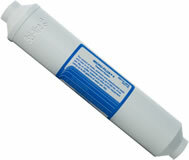 This Micro-Plus 4 system is rated 25 gallons per day. Designed and manufactured to eliminate and control the three primary water-related problems: lime scale, silt and sediment, and objectionable tastes and odors. The Micro-Plus accomplishes this through 4 stages. 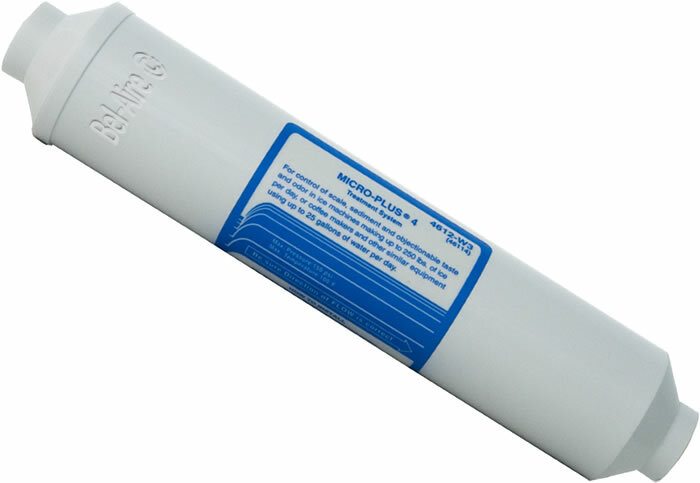 The Micro-Plus 4 housing is constructed of NSF approved PVC. The ends are tapped 1/4" FPT, Length 10.25", Diameter 2.09. Maximum temperature 100°F.